- Cleanses the blood, organs and gastrointestinal tract of debris. Wheatgrass also stimulates metabolism and the body's enzyme systems by enriching the blood. Increases red blood-cell count and lowers blood pressure. Aids in reducing blood pressure by dilating the blood pathways throughout the body. - Restores alkalinity to the blood. The juice's abundance of alkaline minerals helps reduce over-acidity in the blood. It can be used to relieve many internal pains and has been used successfully to treat peptic ulcers, ulcerative colitis, constipation, diarrhea, and other complaints of the gastrointestinal tract. - Has remarkable similarity to our own blood. The second important nutritional aspect of chlorophyll is its remarkable similarity to hemoglobin, the compound that carries oxygen in the blood. - Can double your red blood cell count just by soaking in it. Renowned nutritionist Dr. Bernard Jensen found that no other blood builders are superior to green juices and wheatgrass. In his book, Health Magic Through Chlorophyll from Living Plant Life, he mentions several cases where he was able to double the red blood cell count in a matter of days merely by having patients soak in a chlorophyll-water bath. Blood building results occur even more rapidly when patients drink green juices and wheatgrass regularly. * Dr. Yoshihide Hagiwara, president of the Hagiwara Institute of Health in Japan, is a leading advocate for the use of grass as food and medicine. He reasons that since chlorophyll is soluble in fat particles, and fat particles are absorbed directly into the blood via the lymphatic system, that chlorophyll can also be absorbed in this way. In other words, when the "blood" of plants is absorbed in humans it is transformed into human blood, which transports nutrients to every cell of the body. - Stimulates the thyroid gland, correcting obesity, indigestion, and a host of other complaints. - Powerful detoxifier, liver, and blood protector. The enzymes and amino acids found in wheatgrass can protect us from carcinogens like no other food or medicine. It strengthens our cells, detoxifies the liver and bloodstream, and chemically neutralizes environmental pollutants. - Fights tumors and neutralizes toxins. Recent studies show that wheatgrass juice has a powerful ability to fight tumors without the usual toxicity of drugs that also inhibit cell-destroying agents. The many active compounds found in grass juice cleanse the blood and neutralize and digest toxins in our cells. - Offers the benefits of a liquid oxygen transfusion since the juice contains liquid oxygen. Oxygen is vital to many body processes: it stimulates digestion (the oxidation of food), promotes clearer thinking (the brain utilizes 25% of the body's oxygen supply), and protects the blood against anaerobic bacteria. Cancer cells cannot exist in the presence of oxygen. - Contains beneficial enzymes. Whether you have a cut finger you want to heal or you desire to lose five pounds...enzymes must do the actual work. The life and abilities of the enzymes found naturally in our bodies can be extended if we help them from the outside by adding exogenous enzymes, like the ones found in wheatgrass juice. Don't cook it. 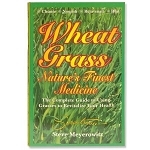 We can only get the benefits of the many enzymes found in the grass by eating it uncooked. Cooking destroys 100 percent of the enzymes in food. - Neutralizes toxic substances like cadmium, nicotine, strontium, mercury, and polyvinyl chloride. - Soothing and healing for cuts, burns, scrapes, rashes, poison ivy, athlete's foot, insect bites, boils, sores, open ulcers, tumors, and so on. Use as a poultice and replace every two to four hours. 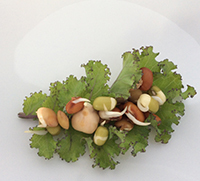 - Sleep aid - Merely place a tray of living wheatgrass near the head of your bed. It will enhance the oxygen in the air and generate healthful negative ions to help you sleep more soundly. - Beauty treatment that slows down the aging process when the juice is consumed. Wheatgrass will cleanse your blood and help rejuvenate aging cells, slowing the aging process way down, making you feel alive with renewed vitality right away. It will help tighten loose and sagging skin. - Turns gray hair to its natural color again and greatly increases energy levels when consumed daily. - Restores fertility and promotes youthfulness. - Enhances your bath. Add some to your bath water and settle in for a nice, long soak. Sweetens the breath and firms up and tightens gums. Just gargle with the juice. - Externally applied to the skin can help eliminate itching almost immediately. - Soothe sunburned skin and act as a disinfectant. Rubbed into the scalp before a shampoo, it will help mend damaged hair and alleviate itchy, scaly, scalp conditions. - When used as a rectal implant, reverses damage from inside the lower bowel. An implant is a small amount of juice held in the lower bowel for about 20 minutes. In the case of illness, wheatgrass implants stimulate a rapid cleansing of the lower bowel and draw out accumulations of debris. - Lessens the effects of radiation. 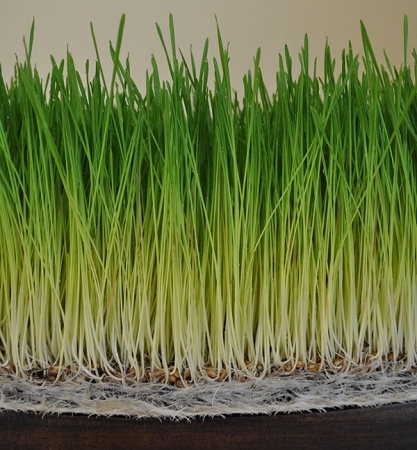 One enzyme found in wheatgrass, SOD, lessens the effects of radiation and acts as an anti-inflammatory compound that may prevent cellular damage following heart attacks or exposure to irritants. ALL INFORMATION CONTAINED HEREIN IS FOR EDUCATIONAL PURPOSES. THE INFORMATION HAS NOT BEEN EVALUATED BY THE FOOD AND DRUG ADMINISTRATION. THE INFORMATION IS NOT INTENDED TO REPLACE MEDICAL CARE, DIAGNOSE, TREAT, PREVENT, MITIGATE OR CURE DISEASE. 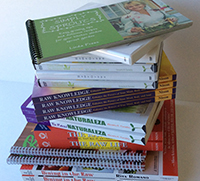 WE BELIEVE IN THE INDIVIDUAL'S INFORMED RIGHT TO CHOOSE THEIR OWN HEALTH CARE METHODS. AS ALWAYS, CONSULT WITH A HEALTH PROFESSIONAL BEFORE ATTEMPTING ANY SELF-HEALTH PROGRAM. 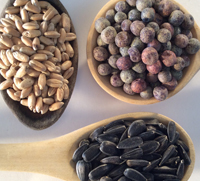 Interested in trying or growing your own wheatgrasss at home? 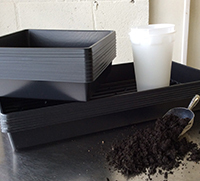 Browse our wheatgrass seeds, sprouts, and growing trays below!